Sunday morning. Palm Sunday morning. Reading outside in the sun. Slowly the town awakens, quite some time after the world had awoken. Blackbirds are nesting in the bushes that border the garden; jackdaws in the tall chimney pots. All unnoticed by the people returning from the shops with their six packs to greet the sun with, or driving around the estate on their noisy quad bikes. Flaubert comes to mind: ‘Civilisation is a conspiracy against poetry’. Maybe I’m getting old. Given to moan a lot. 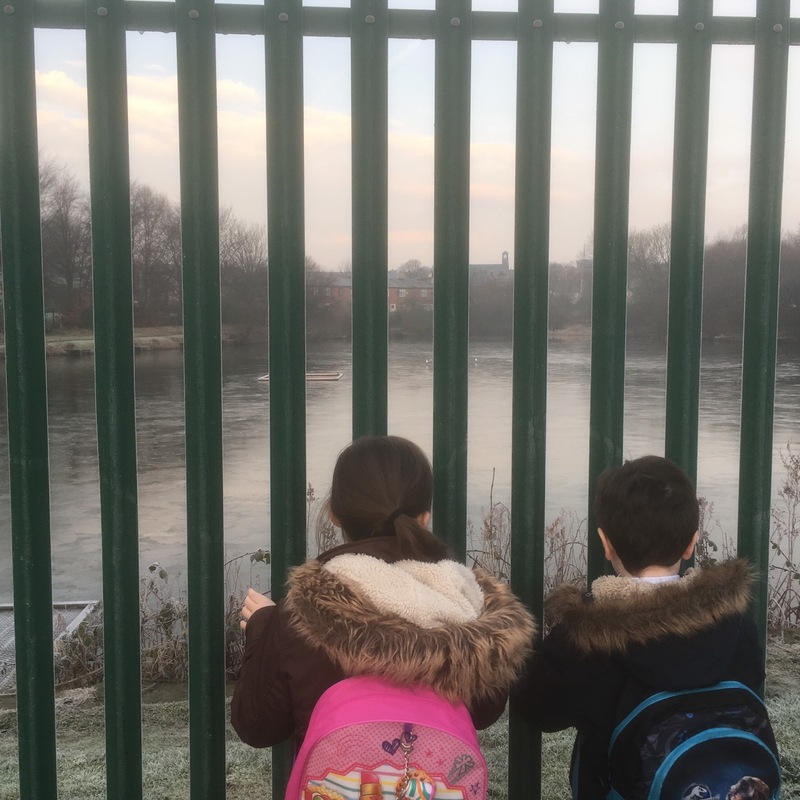 The children looking at gulls on ice. I’m thinking of children behind bars.